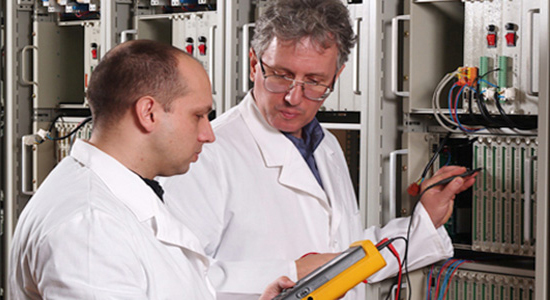 The development of the School of Electrical Engineering is closely connected with the history of university education in Serbia. The first university level lecture in the area of electrical engineering was held in 1894. Professor Stevan Markovic was the first lecturer and founder of Electrical Engineering Chair with Engineering department of High school in Belgrade. Only four years later, Professor Markovic also founded electrical engineering laboratory. 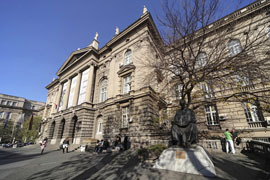 Since then, this area has been studied in High School, and later at the University of Belgrade which developed from it. First diplomas in this area were given in 1922. The education of electrical engineers has been considerably expanded after reorganization of Engineering department in 1935. Mechanical department became Mechanical Electrical Engineering department, with in which, in 1937, four new departments were formed- mechanical, aeronautical, power systems engineering and telecommunications. Due to the lack of lab equipment forming of the fourth department (telecommunications) was postponed until the end of the Second World war. In the year of 1946. the department of electrical engineering was formed. That department grew into the School of Electrical Engineering two years later, with its Power Systems Engineering and Telecommunications departments. In 1955. a new department was founded - Physical Electronics. In following years the Telecommunications department was broadened in the areas of electronics, automatics and computer science. The fourth department - Computer science - was formed in 1987.